Bio: Cathy Lanteri, MD, FAPA is a certified physician development coach who brings a distinctive breadth of expertise in medicine, leadership, communications, and behavioral dynamics to help women in medicine strengthen their professional satisfaction and leadership effectiveness. Dr. Lanteri is a board certified psychiatrist with 25 years of medical experience – at major Harvard teaching hospitals, developing a community satellite clinic, building a private practice – that brings a ground level understanding of the medical environment to her coaching. She combines this with her expertise in individual and group dynamics to help women define their vision and bring it to life. Coaching clients accomplish this through enhanced self-awareness and strengthened skills in communication, conflict management, and team building. Outside of her coaching and medical practice, Dr. Lanteri is dedicated to physician development, giving presentations on career leadership and burnout prevention. She is on the advisory board of the Physician Coaching Institute, where she developed educational programing for graduate coaches. Dr. Lanteri moved from Oklahoma to Massachusetts for residency at the Massachusetts General Hospital. Subsequently, she served on staff at the Brigham and Women’s Hospital, as a Harvard Medical School instructor, and designed curriculum for the Harvard-Longwood psychiatry residency. Prior to medical school she was an award winning journalist and honed organizational skills in government and political leadership positions. Bio: Jacqueline Huntly MD,MPH is President and Founder of her own Career and Leadership coaching business, Thrive to Lead MD. She is dedicated to helping physicians create lives that allow them to thrive both professionally and personally. 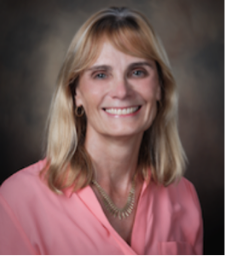 Dr. Huntly was most recently an Independent Consultant in Preventive, Lifestyle and Integrative Medicine to the Family Medicine Department, Memorial University Medical Center MUMC), Savannah, Georgia, where she had previously been on faculty and a Clinical Assistant Professor at Mercer University School of Medicine, Savannah Campus, at Memorial University Medical Center. She received her medical training in Birmingham, England and residency training in England and at UNC Medical Center and Emory University School of Medicine. She is board certified in Preventive Medicine. Dr. Huntly received Coach training at the Coaches Training Institute and the Physician Coaching Institute. She is a Certified Physician Development Coach. 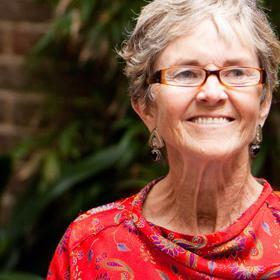 She attended training retreats in Mindfulness Meditation with Dr. Jon Kabat-Zinn at University of Massachusetts and in Behavioral Medicine at the Mind-Body Institute of Harvard University Medical School. She is a graduate of the Search Inside Yourself Leadership Institute Engage program. She is also trained in integrative yoga therapy. 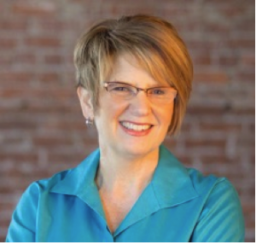 Bio: Deborah Munhoz MS, PCC, is a Certified Physician Development Coach™, who provides leadership coaching and training for physicians and their healthcare organizations. Her mission is to create a world where women physicians are valued and appreciated for their role in healthcare leadership. Deborah’s coaching focuses on both the mindset and skills required for greater confidence, collaboration and influence. In addition to coaching, she facilitates Women’s Physicians Circles to build support and community among women in medicine across the nation. Deborah earned her Master’s Degree in Health Sciences Administration. She owned and operated a successful home infusion pharmacy for 18 years prior to starting her coaching practice in 2002. Deborah’s clients include Kaiser Permanente, Hospital Corporation of America, Intermountain Healthcare, Inc., The Hospitalist Company, University of California San Francisco (UCSF) Medical School, Oregon Health Sciences University & Medical School, and River Bend Medical Center. 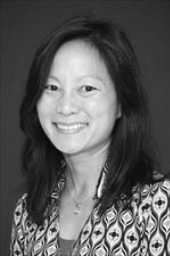 Bio: Dr. Eliza Chin is an Assistant Clinical Professor of Medicine at UCSF. She has been actively involved in AMWA for over a decade, serving as President during AMWA’s 95th Anniversary Year. 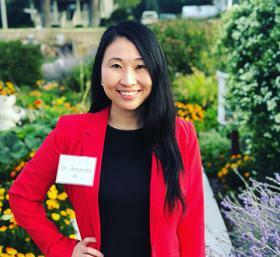 She has been an integral part of many of AMWA’s programs, including the founding of AMWA’s Networking Alliance, the launch of Faces of AMWA – an on-line exhibition, and AMWA’s Annual Meetings over the past several years. She has a particular interest in the history of women in medicine and the stories of women physicians during all stages of their careers. In 2002, she published the anthology, This Side of Doctoring: Reflections from Women in Medicine. In 2003, she was featured in the National Library of Medicine’s Exhibition, Changing the Face of Medicine: Celebrating America’s Women Physicians. 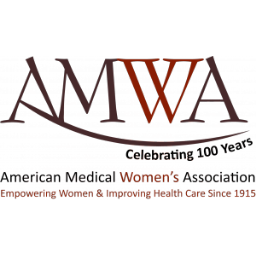 Working with and collaborating with women physicians leaders is her passion and she is honored to be AMWA’s Executive Director, to serve the organization that has provided her with so much support. 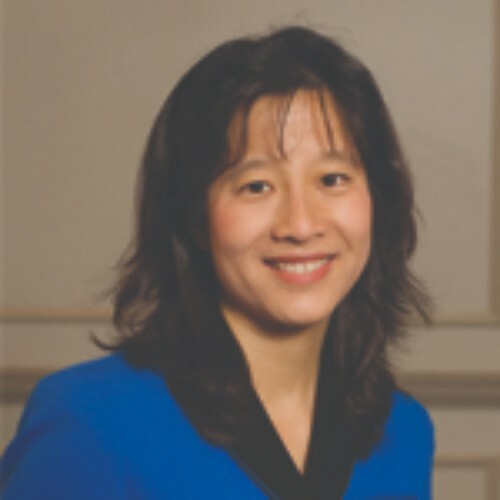 Dr. Chin is a graduate of UC Berkeley, Harvard Medical School, and Columbia University, Mailman School of Public Health. She completed her training in Primary Care at the Brigham and Women’s Hospital in Boston. She was Assistant Professor of Medicine at Columbia for many years before relocating to California where she continues to teach medical students and practice medicine part-time. 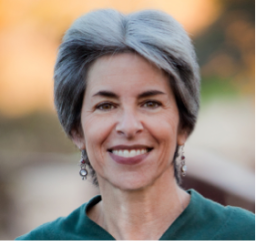 She is a past Visiting Scholar of the Women’s Leadership Institute at Mills College and currently Medical Director of Bayside Park, a long-term care facility. 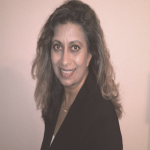 Bio: Gayatri Devi, MD, MS, FACP, FAAN, is a nationally recognized expert in memory disorders with board-certifications in Neurology, Pain Medicine, Psychiatry, Brain Injury Medicine and Behavioral Neurology. Dr. Devi became Director of the Long Island Alzheimer’s Disease Assistance Center at 28, after seven years of post-graduate residency training in Neurology, Psychiatry, and Behavioral Neurology at Downstate and Columbia University. She received her MD from Grace University and her MS from Columbia University. 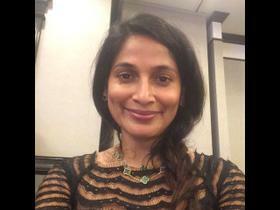 Published more than 50 times in peer-reviewed journals, Dr. Devi is an Attending Physician at Lenox Hill Hospital and Clinical Professor of Neurology at Downstate Medical Center. Her current research is on the use of transcranial magnetic brain stimulation to treat cognitive disorders. Dr. Devi established the New York Memory and Healthy Aging Services in 1999, serving until 2015 as Clinical Associate Professor of Neurology and Psychiatry at New York University School of Medicine. Key prior roles include Assistant Professor of Neurology at Columbia University; Clinical Core Co-director of the Taub Alzheimer’s Disease Research Center at Columbia University; and President of the American Medical Women’s Association. Offering insight on memory disorders with the BBC, NPR, CBS, Reuters, The Wall Street Journal and TIME, Dr. Devi has authored four books on the subject. 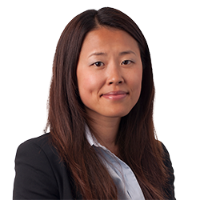 She serves as neurologic consultant to the New York State Committee for Physician Health and the National Football League Players Association. 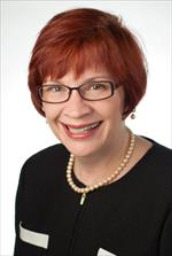 Bio: Helane Fronek MD, FACP, FACPh initially practiced internal medicine and has been a specialist in venous disorders since 1985. An integral part of the development of the specialty, she is past president of the American College of Phlebology, the largest medical organization devoted to vein care in the United States. Dr. Fronek was the first recipient of the College’s prestigious Leadership Award and is now Chair of its Leadership Development Committee. She is a respected speaker and educator in the areas of venous disease and communication in the medical arena. As Assistant Clinical Professor of Medicine at UC-San Diego School of Medicine, she teaches communication, ethics, and professionalism. In 2009, Helane began training as a Co-Active Coach and is certified as a Physician Development Coach by the Physician Coaching Institute. She has developed and offered workshops on work-life balance, delegation, resilience to physician burnout, writes regular columns on physician coaching for both Vein Magazine and San Diego Physician magazine and is passionate about helping her clients find greater enjoyment and balance in their lives. 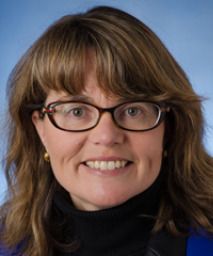 Bio: Jody Steinauer, MD, MAS is a Professor and the Vice Chair of Education in the Department of Obstetrics, Gynecology and Reproductive Sciences at UCSF based at Zuckerberg San Francisco General Hospital. 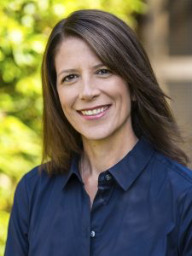 A graduate of UC Santa Cruz and UCSF’s School of Medicine, Jody also holds a master’s degree of Advanced Studies in Clinical Research at UCSF. After residency in OB/GYN at UCSF, she completed fellowships in both Women’s Health Clinical Research and Family Planning at UCSF. She is the Co-Director of the UCSF Fellowship in Family Planning, Director of Ob-gyn Clinical Research at SFGH, Research Director of the Kenneth J. Ryan Residency Training Program in Family Planning, and Director of Innovating Education in Reproductive Health. Her clinical research focuses on contraceptive decision-making and use, and complications of pregnancy termination. 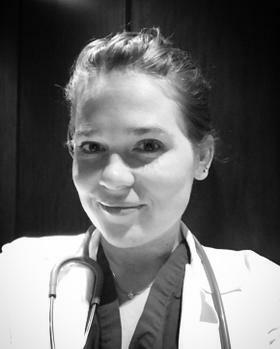 Her educational research focuses on: 1) the prevalence and outcomes of family planning training, 2) best practices for teaching ob-gyn residents who are uncomfortable with abortion, and 3) teaching empathy, professionalism, and patient-centered care. She is currently a PhD candidate in Health Professions Education in the University Medical Center Utrecht-UCSF joint program. Bio: Julianna Deardorff, Ph.D. is Associate Professor in the Maternal and Child Health program in the Division of Community Health Sciences at the School of Public Health at UC Berkeley, where she teaches graduate level courses in Adolescent Health and Evaluation of Health and Social Programs. Dr. Deardorff is a licensed clinical psychologist, with emphases in adolescence and community interventions, and completed her clinical internship at Lucile Packard Children’s Hospital at Stanford and the Children’s Health Council in Palo Alto. Before joining the School of Public Health, she was Assistant Professor in Epidemiology and Biostatistics at UCSF and delivered clinical services at New Generation Health Center in San Francisco. Dr. Deardorff’s research focuses on antecedents and consequences of girls’ early puberty. She also examines sexual behaviors and condom use during adolescence and related risk and protective factors, particularly among young Latinas. She currently has a large NIH grant to examine early adversity, pubertal development, stress reactivity, and substance use and sexual health outcomes in Salinas, CA. 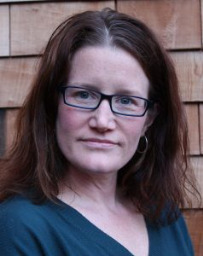 She co-authored The New Puberty: How to Navigate Early Puberty in Today’s Girls. 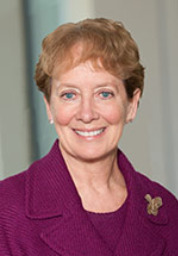 Bio: Dr. Julie A. Freischlag is the Vice Chancellor for Human Health Sciences and Dean of the School of Medicine at UC Davis. She oversees UC Davis Health’s academic, research and clinical programs, including the School of Medicine, the Betty Irene Moore School of Nursing, the 1,000-member physician practice group, and UC Davis Medical Center. Freischlag is one of the most prominent leaders among the nation’s academic health centers. For more than 15 years, she has led education and training programs at top medical schools in her role as professor and chair of surgery and vascular surgery departments. Freischlag also has more than 30 years of experience leading patient-care services as either chief of surgery or vascular surgery at nationally ranked hospitals. Before joining UC Davis Health System, she served as professor, chair of the surgery department and surgeon-in-chief at Johns Hopkins Medical Institutions. She led initiatives to expand research, add specialty clinical services, improve patient-centered care and patient safety, redesign the surgical training program and enhance academic career paths for faculty. Freischlag received a bachelor’s degree in biology from the University of Illinois and a medical degree from Rush University Medical College in Chicago. She completed her surgical residency and vascular fellowship at the David Geffen School of Medicine at UCLA. 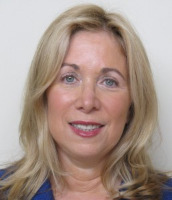 Bio: Louise Greenspan has a busy clinical practice as a Pediatric Endocrinologist at Kaiser San Francisco. She is also on he clinical faculty at UCSF. 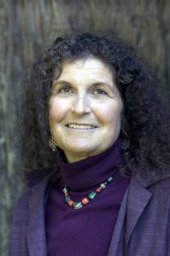 Dr Greenspan does research with colleagues at the Division of Research at Kaiser as well as at UCSF; she was part two investigations into the environmental determinants of the timing of puberty. She also does research in obesity and runs an obesity program at Kaiser. 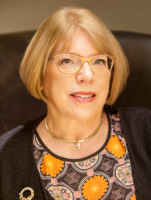 Along with Dr Deardorff, she is the author of the book ‘The New Puberty’ and has appeared on NPR, The New York Times, and at TedMed and The Aspen Ideas Festival. Her most rewarding and challenging job is as the parent of two children. 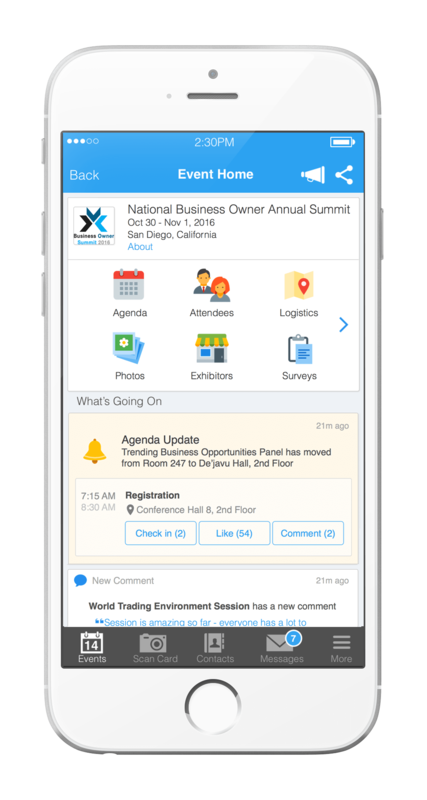 Attendees please download Whova event app, to access the information of all 68 speakers.